I am an Australian author, psychologist and eclipse chaser. Originally from Ingham in North Queensland, and I grew up on a sugar cane farm in an Italian community. Travel was in my blood from an early age. I was an avid reader, and after being inspired by reading about total eclipses I vowed that one day I would see one. I added it to my pretty lengthy list of things I wanted to experience, and places I wanted to see. I left Australia in 1997 on a round-the-world adventure, and after some pretty epic moments, I landed in the UK. This was fortuitous timing, as I was able to see my first total solar eclipse in 1999 by travelling to the coast of France. My life has not been the same since, and I knew from that moment I was an eclipse chaser. Since then, I have stood in the shadow of the Moon in many exotic places around the world. I have seen eleven total eclipses and two annular eclipses (I don’t count the partial eclipses). I particularly enjoy experiencing the power of nature – along with eclipses, I have chased the aurora, and am drawn to volcanoes, lightning and storms. I love those magical reminders that nature is alive and powerful. I have lived in the UK for twenty years, in my adopted home of Belfast, Northern Ireland. Belfast is fantastic, and I think it is one of the coolest cities in the world. I spent my early adult life studying, and have three degrees and a successful career as a Clinical Psychologist specialising in health. I worked in the UK National Health Service for over 15 years, and have also undertaken private consulting. I was an Assistant Course Director of a doctoral training program in Clinical Psychology at Queen’s University Belfast for about six years, until I had to leave following a serious illness. 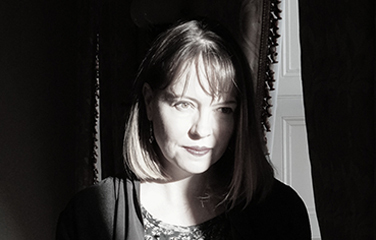 I have a passion for phenomenological research, and I research people’s experiences – what it is like for them from their own subjective experience. I am an expert in Interpretative Phenomenological Analysis (IPA), and love inspiring others to use this approach in their academic work. Since I was able to secure a publishing contract in 2011, I have been researching the experience of the total solar eclipse. Now, my psychology and eclipse chasing careers have merged together wonderfully so now I am fully engaged in eclipse-related activities until after the next total solar eclipse. We can learn so much about us as human beings by exploring intense positive, emotional experiences – just like total eclipses. I firmly believe that if every person could experience a total solar eclipse, the world would be a better place. Eclipse chasing – what’s not to love? (c) Kieron Circuit. With a professional background in Psychology, Kate is a highly skilled Eclipse Planning Consultant. She is one of the very few eclipse chasers worldwide who has experienced a total solar eclipse in her own home community and knows first-hand the challenges involved in preparing a community for the total eclipse. She was involved in eclipse planning for 2012 in Australia and led the process in 2015 in the Faroe Islands. Drawing upon her consulting and academic skills, she then researched and wrote the White Paper on Community Eclipse Planning – a document that has been used by hundreds of communities across the U.S. in preparation for the August total eclipse. She has already helped many communities in the path in their approach to planning. 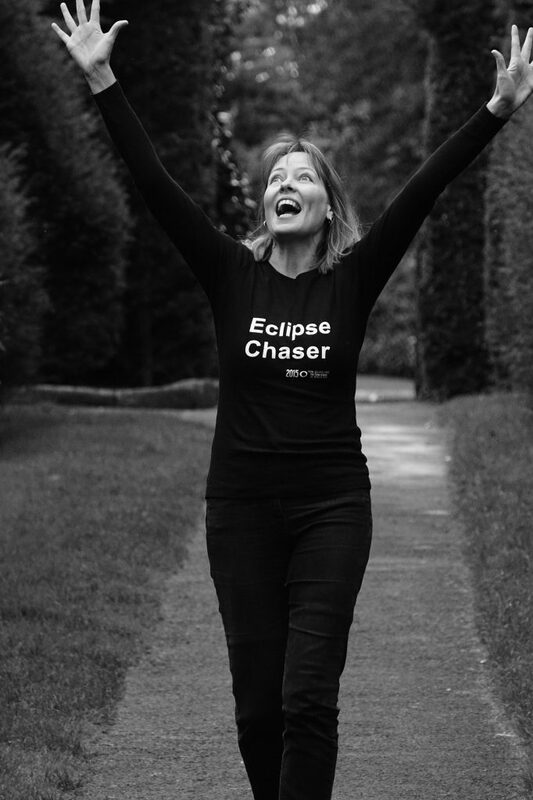 Along with her expertise in eclipse planning, Kate is the recognised authority on the total solar eclipse experience, and is the person who is most able to answer the key question – what is it like to experience a total solar eclipse? Not only is she able to talk from her personal experiences of seeing ten total solar eclipses, she can also share the experience of the hundreds of others she has surveyed and interviewed. She has authored three books on the topic and is in demand as a speaker and in the media before every eclipse. Kate has participated in many interviews about the eclipse experience, and she has been featured in several documentaries and books. She is unique because she is able to communicate about the eclipse experience to new audiences, in a passionate and relatable manner.